Today, the most significant concerns in the highly globalized fashion industry are ethical and sustainable business practices. A lot of companies in this industry are taking the ethical issues with seriousness, and have been carefully monitoring and responding to all concerns raised by customers, who are taking a different direction by taking actions against firms that violate ethical practices including holding protests and calling for boycotts for products from such firms. This paper explores ethical issues in the fashion industry, and how it impacts customers buying behaviors. All along the history, people have been wearing clothes to cover themselves and protect themselves from harsh weather conditions including sun, rain, and cold. However, nowadays clothes are taking a more crucial role in people’s lives rather than just protecting and covering. People wear clothes to say what they are thinking; converse with the world and society can observe and say something about an individual depending on what they are wearing (Cataldi et al., 2010). Today, fashion is part of a necessity in the lives of many people as everyone competes in looking good feeling fabulous and feeling that one is living in the right place. People desire to wear certain clothes and look in a special way, which is all coming from wearing latest fashions clothes, accessories, shoes, and handbags. 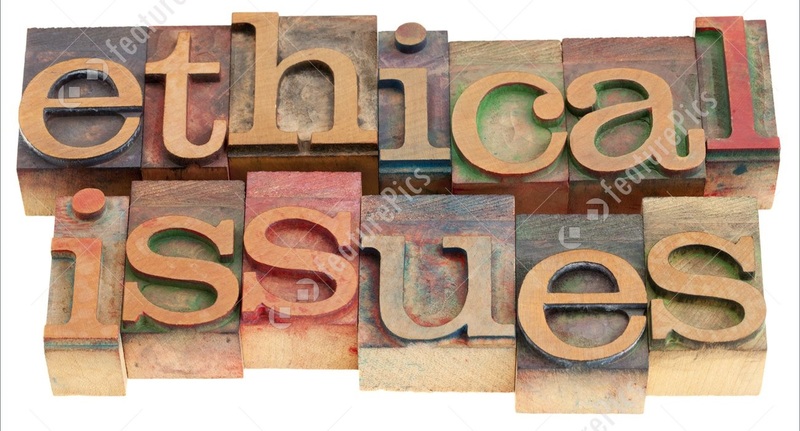 As result, most people have taken ethical issues by the clothing industry as a major concern to them, and are taking caution by only conducting business with those that observe ethical practices in their operations (Niinimäki & Hassi, 2011). Cataldi et al. (2010) asserts that nowadays, the clothing industry is amongst the most highly globalized industries as a result of the globalization of cultures, societies, production systems, and consumer systems. 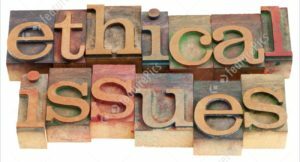 The number of complaints with regard to ethical issues by clothing industries has been increasing and this has been affecting these companies with serious implications on a collection of substantial and vague performance factors (Cataldi et al., 2010). According to Britton (2012), as a result of high demand for fashion clothes, consumption and production have also increased with some negative impacts on the environment and natural resources, exploitation of labor, increased materialism, as well as the promotion of unnecessary spending. Consequent to these concerns, customers, and environmental activists have been engaging in increased protests against the cloth companies with unethical practices in the clothing industry (Bray et al., 2011). Thus, this paper would look into the challenges and opportunities associated with ethical issues in the clothing industry, and point out the best practices that these firms can consider to promote progress and implementation of fairer and peaceful environment through responsible and ethical practices by the clothing companies. Today, the customer’s demand is not only limited to purchasing of high-quality cloth brands but is also involving social responsibility and sustainability by the companies. As a result, clothing companies are now taking the issue of adhering to ethical and sustainable practices as a major concern, which influences their success in the fashion industry. In relation to sustainable practices, the clothing firms are working hard to ensure that they meet the needs of the present customers in the market without compromising the prospect generations to meet their needs. That is, the clothing industry has been working hard to deal with the social and environmental concerns not only to meet the current concerns of the society but for future considerations ((Cataldi et al., 2010). According to Bray et al. (2011), in the recent, there has been a growing expectation by customers in relation to social responsibility and ethical practices by companies as in the recent people are identifying themselves with what they are wearing. In a study conducted in the United Kingdom in 2014, on ethical consumerism, it revealed that $2 percent consumers shopped for clothes for ethical reasons compared to 2002 report with 27 percent (Niinimäki & Hassi, 2011). Indeed, customers are now increasingly becoming interested in digging deep into reliable information on the background of the commodities they purchase in the market. Also, customers are showing interest in activities related to supply chain and are demanding for honest and transparent communication by the clothing companies, which they use to make their purchasing decisions (Shen et al., 2012). One of the central ethical concerns by the clothing industry is on the relationship between environment and the people. A lot of customers want to associate with companies which incorporate fair trade practices with sweatshop-free workforce conditions without causing any harm to the environment or employees by making use of biodegradable and organic fabrics (Kozlowski et al., 2012). The most common environmental concerns facing the clothing industry is on the dangerous impact on the environment and world at large since fashion industry forms the second largest environment polluter after oil industry. Clothing industry engages in large production which leads to huge disposals and consequently amounting to high levels of waste which increases the challenge of shortage of natural resources. Also, the high demand of clothes by customers have made most clothing firms to manufacture low-quality clothing mostly made from artificial fibers and unsafe dyes that leads to negative impacts on the environment (Kozlowski et al., 2012). However, customers are playing part in controlling the materials and products that the clothing industries are manufacturing as most of them are now supporting the companies and retailers who are employing green practices. The customers are even willing to pay high for brands that include environmental and ethical labeling in their products as part of promoting environmentally friendly practices. Consequently, most cloth companies are now becoming more environmentally mindful, and are manufacturing clothes using less dangerous chemicals and dyes (Shen et al., 2012). The other environmental concern is with regard to violation of animal rights leading to endangering of many species (Kozlowski et al., 2012. The clothing industry uses animal products such as wool, fur, skins and leather in their production processes. Fur and leather apparels are highly regarded within the society as they symbolize with high-status people. Animal activists term the acquisition process of these products from the animals as inhumane. As a result, they have been advocating against clothes manufactured from animal products with some customers becoming very aggressive on purchasing of fur and leather products (Kozlowski et al., 2012). The fact that a lot of customers make a decision based on the information available; thus there is a high possibility that protests and campaigns on the ethical handling of animals and sustainable fashion affects customers’ decision on purchasing and consumption of clothes manufactured from animal products. Consequently, the customers are taking adverse actions against products that fail to follow ethical practices in manufacturing their products (Shen et al., 2012). The social ethical issues affecting the clothing industry include a broad collection of factors including violation of employees’ rights, use of child labor, sweatshops, underpayment of labor as well as poor working conditions. The social ethical practices aim at ensuring the well-being of the community. There have been complaints that most cloth industries subject their workers under sweatshop conditions and with the lowest payments, long working hours, child labor and labor abuse (Chan & Wong, 2012). Most of clothes manufacturing companies practices forced labor, exploitation and child labor in their daily activities practices. Child labor amounts to denying children their right to education and subjects them to mental and physical effects as a result of unfair treatments geared by lack of transparency, unauthorized trafficking poor monitoring services within the apparel industries (Goworek, 2011). The fact that clothing industries are busy and involve a lot of activities has been making the companies seek for cheap labor which is readily available from children. According to a report released by an international labor organization in 2015, indicated that although over years the number of child labor have been decreasing globally from around 246 million in 2002 to about 169 million in 2015, the number is still high in most apparel manufacturing companies(Goworek, 2011). Most cloth companies have accused of sweatshop internationally. The apparels companies have been accused of subjecting their workers to unacceptable conditions that violate human rights. Most of the company pay their employee lower wages than minimum wage limit set for international corporations. Also, most of them pay their workers based on pieces rather than a guaranteed hourly payment. Furthermore, there have been complaints with regard to force overtime, safety and health risks as well as violations of rules as a result of negligence. Also, since most of the employees are casual most apparel companies disregard employees’ welfare willingly to avoid expenses (Harrison & Scors, 2010). In some instances, workers get dismissed from their work without salary payment regardless of working for months. Also, most companies do not get into any written agreement with the workers, hence terminates their services anytime without giving them notice. Although most companies within the clothing industry claim to comply with the ethical standards, customers have been pushing them to adhere to offering fashion with a conscience. In spite, of cutting prices to customer-friendly prices, customers feel that these companies have a responsibility in ensuring practices which do not violate the set standards on the welfare of employees (Harrison & Scors, 2010). As a result, most customers have been going for products from the companies which adhere to supporting and observing human rights practices against their employees (Chan, & Wong, 2012). Another social ethical concern surrounding the apparel industry is poor factory condition, which subjects workers to the dangerous working environment. In most developing nations, most clothe industries operate in buildings meant for commercial purposes, which leads to congestion and poor waste disposal; hence subjecting the workers to unfavorable working conditions (Goworek, 2011). Additionally, there have been complaints about defective and overloaded electric wiring, lack of emergency exits, poor designed building and lift machines, defective equipment subjecting, which subjects employees to work manually in dangerous operations, as well as barred windows leading to poor ventilation. However, in spite of the push by the MNCs to the apparel companies to improve working conditions, most of them, especially in the developing nations, operate under very poor working conditions (Goworek, 2011). Over the years there have been complaints against women objectification in most advertisements concerning fashion. The adverts usually portray the women as artistic objects with high desire for men, which strengthens stereotypical gender roles and leads to negative impacts, particularly in the way female experience their bodies. One of the troubling concerns is on portraying women with thin figures, which subjects young women to severe eating conditions as they try to imitate the advert models (Britton, 2012). Also, according to Britton (2012), the clothing industries have been using Photoshop application to enhance the women model appearances, which leads to a misleading and unrealistic representation of females images. As a result, it leads to a feeling of insufficiency, which jeopardizes psychological well-being and sense of worth among people as they wish to have body images like the ones used in the ads (Britton, 2012). The representation of ultra-thin beauty model in advertising has been contributing to the increasing number of individuals suffering from eating disorders, especially young women who struggle to achieve the figure. Furthermore, it also puts women under huge stress and has led to harmful youth body image with very stern consequent mental and physical problems. According to a report released by WHO, almost 80 percent of young women are afraid of getting fat and they felt better staying under diet, rather than adding weight. Also, it revealed that the fashion models usually leave under strong pressures in trying to maintain their body shapes (Britton, 2012). However, there has been pressure by big-bodied people on apparels industries to stop only using thin models to advertise clothes. Today, some of the cloth industries are adhering to the pressure and are now using fat-models to advertise their apparels (Shen et al., 2012). As a result of outsourcing the supply chain in the clothing industry are getting complex and longer. As a result of the complexity, these companies face managing problems which amount to ethical issues in various parts of the supply chain as they struggle to keep labor conditions that are consistent with legal and acceptable conditions (Diddi & Niehm, 2016). The common supply chain concerns by clothing industries include relying on child labor, overloading of employees and environment, and failure to take into account the rights of society, environment and people in pursuing profitable business. Thus, leading to unsatisfied workers and customers, and eventually affecting the business reputation (Diddi & Niehm, 2016). In the recent, most businesses are not only assessed based on their ability to produce high-quality products that satisfy customers’ needs but also on their ability to uphold ethical practices in their operations. Over the years, the clothing industry has been having ethical issues especially in terms of environment and social factors. Under environment issues, the apparel industries have been blamed for producing low-quality fiber clothes, as well as using unsafe dyes and chemicals to human beings. Also, there are complaints about inhuman processes through which these companies obtain animal products including fur, wool, and leather to use in the production of clothes. The social wellbeing issues range from sweatshops, women objectification, poor infrastructure, supply chain issues and child labor. The social-wellbeing concerns subject the workers to unfavorable working conditions, violation of human rights, mistreatments, poor payments, work overloads, forced overtime and illegal work terminations. The companies over years have been ignoring calls by the MNCs to adhere to business ethics until in the recent after pressure by customers as they change buying tactics from only quality to ethical and sustainability practices by companies. Nowadays, most customers are not only interested in the final products but also want to know the extent to which the company they purchases the clothes from adheres to ethical and sustainable practices. Thus, most clothing companies are now taking ethical practices as a serious concern to maintain their customers. Bray, J., Johns, N., & Kilburn, D. ( 2011). An exploratory study into the factors impeding ethical consumption. Journal of Business Ethics, 98(4), 597-608. Britton, A. M. (2012), The Beauty Industry ‘s Influence on Women in Society, Honors Theses, Paper 86. Chan, T. & Wong, C. (2012). The consumption side of sustainable fashion supply – Understanding fashion consumer eco-fashion consumption decision. Journal of Fashion Marketing & Management, 16(2), 193-215. Diddi, S., & Niehm, L. S. (2016). Corporate Social Responsibility in the Retail Apparel Context: Exploring Consumers’ Personal and Normative Influences on Patronage Intentions. Journal of Marketing Channels, 23(1-2), 60-76. Goworek, H. (2011). Social and environmental sustainability in the clothing industry: a case study of a fair trade retailer. Social Responsibility Journal, 7(1), 74-86. Harrison, A. & Scors, J. (2010), “Multinationals and Anti-Sweatshop Activism”, American Economic Review, 100 (1), 247-273. Kozlowski, A., Bardecki, M. & Searcy, C. (2012), “Environmental impacts in the fashion industry”, Journal of Corporate Citizenship, 45, 16-36. Niinimäki, K., & Hassi, L. (2011). Emerging design strategies in sustainable production and consumption of textiles and clothing. Journal of Cleaner Production, 19(16), 1876-1883. Shen, B., Wang, Y., Lo, C. K., & Shum, M. (2012). The impact of ethical fashion on consumer purchase behavior. Journal of Fashion Marketing and Management: An International Journal, 16(2), 234-245.